Mitchell-Innes & Nash is pleased to announce the representation of the Foundation of Kiki Kogelnik (1935-1997). 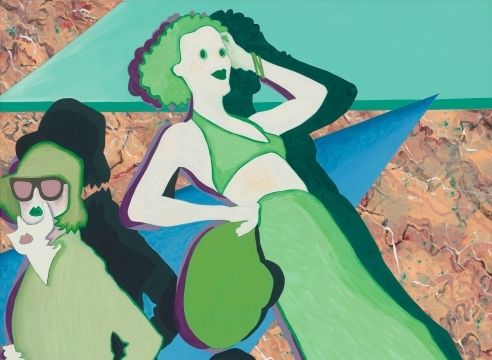 Kiki Kogelnik transcended the movements of European abstract modernism and American Pop art to create a unique, forward-looking oeuvre that addressed new technologies and feminism. Incorporating a variety of often synthetic materials, irony, and humor, her paintings and sculptural work typically took their point of departure in the human form, presenting it as variously ebullient, stylized, interchangeable, fragmentary, or skeletal. Born in Austria in 1935, Kogelnik studied at the Vienna Academy of Fine Art before traveling widely in London, Rome and Paris, finally relocating to New York in the early 1960s. Inspired by recent advances in robotics and the moon landing, she began working on assemblages with found dime-store objects and paintings in which she used spray paint and stencils fashioned out of household objects such as pie tins and sink stoppers. Working alongside a group of artists loosely associated with the Pop Art movement—Jasper Johns, Roy Lichtenstein, Claes Oldenburg and Andy Warhol—Kogelnik became widely known for her series of Hangings, in which silhouettes of friends and family were cut out of vinyl and hung on hangers and clothing rails, or stenciled onto canvas as hollow skin. In mid-1960s, Kogelnik began to look at medical equipment and imagery, influenced by diagnostic radiology and medical stamps of the human body in her work, most notably in a series of drawings entitled Robots. 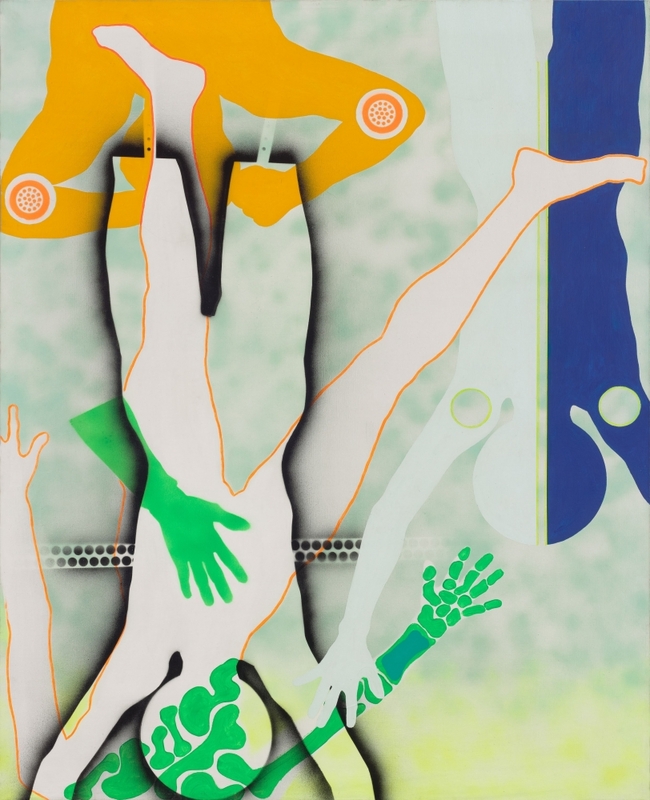 In the following decades, Kogelnik expanded her repertoire of influences, often commenting on the representation of the female figure in media, the mechanization of the human form and the role of technology. Throughout Kogelnik’s multi-faceted career, the human figure and the portrayal of the individual has been the dominant subject in her works. It is through the corporeal form that the artist reflects on the uncertainties and possibilities of a technology-driven future, the evolving representation of women’s bodies and the political and social inheritance of both the horrors and achievements of the twentieth century.